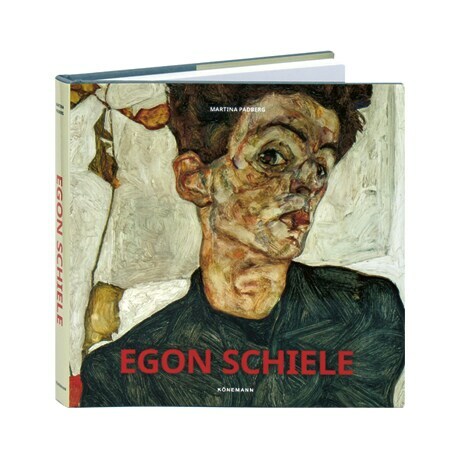 A protégé of Gustav Klimt—and, if anything, even more controversial—Austrian painter Egon Schiele (1890-1918) is increasingly seen as a major figurative painter of the early 20th century. He expressed the discord of his time in distorted figures and portraits noted for their intensity and raw sexuality, and his paintings and drawings mark Schiele as an early exponent of Expressionism. Boasting outstanding color reproductions on nearly every page, this art book is both affordable and compact (measuring just under 7½ inches square) yet offers a surprisingly wide-ranging survey of this important modern artist, with an introductory essay, titles, and captions in six languages.